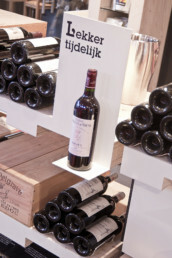 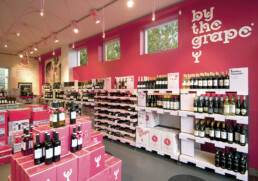 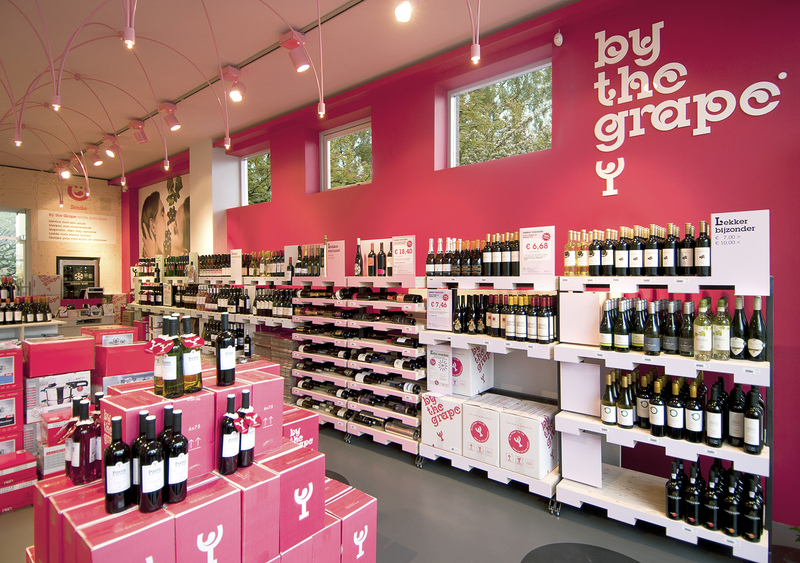 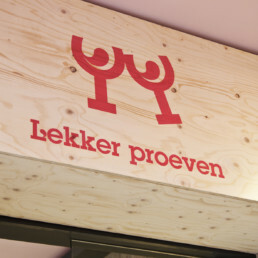 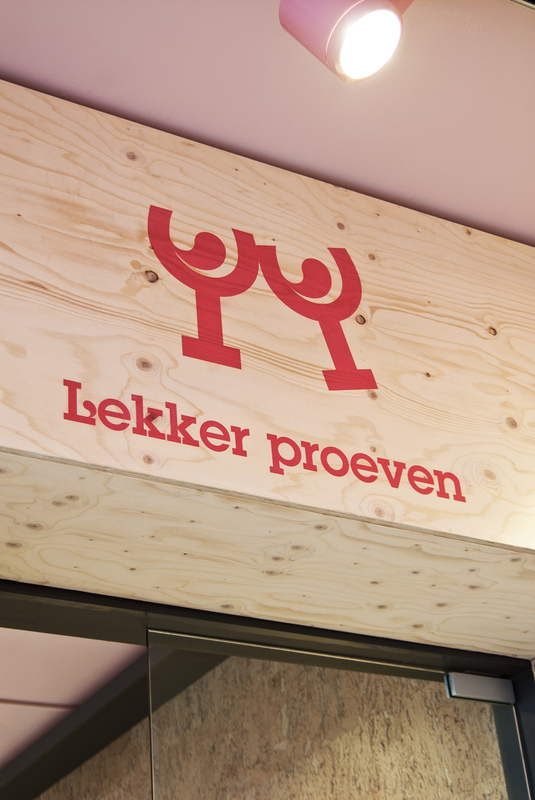 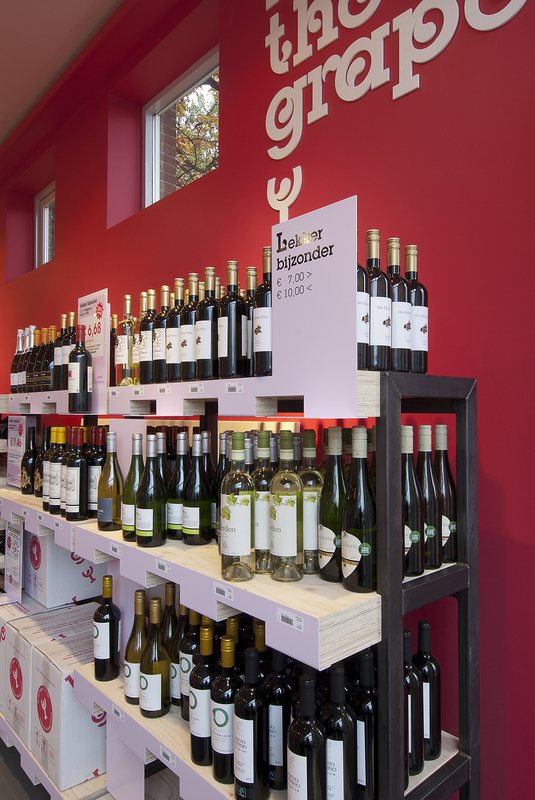 By The Grape is THE new comer in the Dutch wine scene. 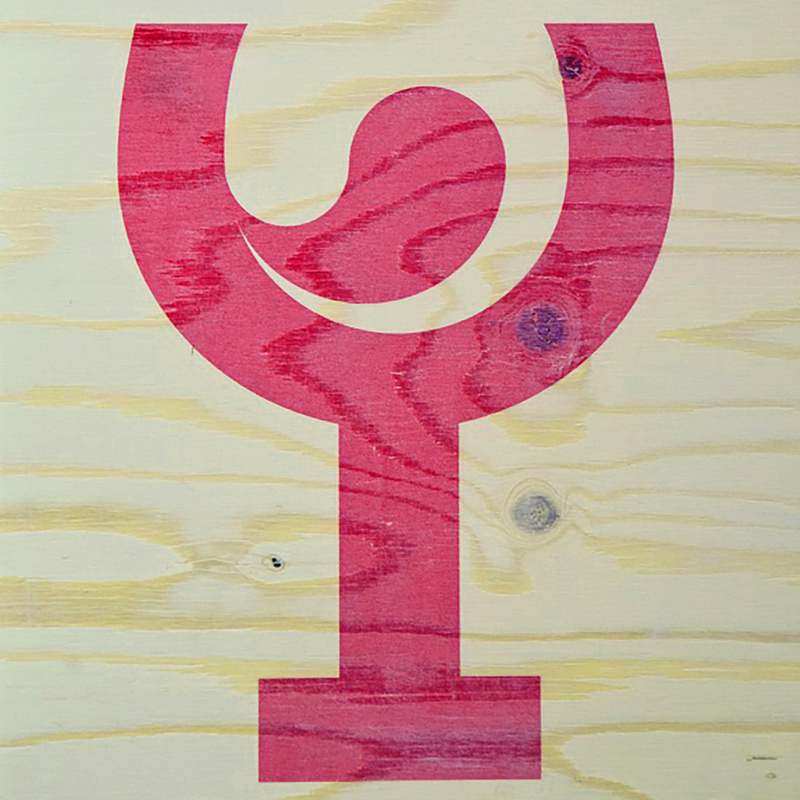 We have been blown away by the array of delicious organic wines Derrick Neleman and Bart van den Brink have gathered in their online and off-line shop. 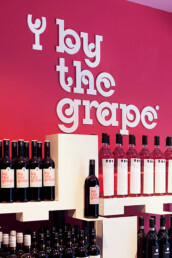 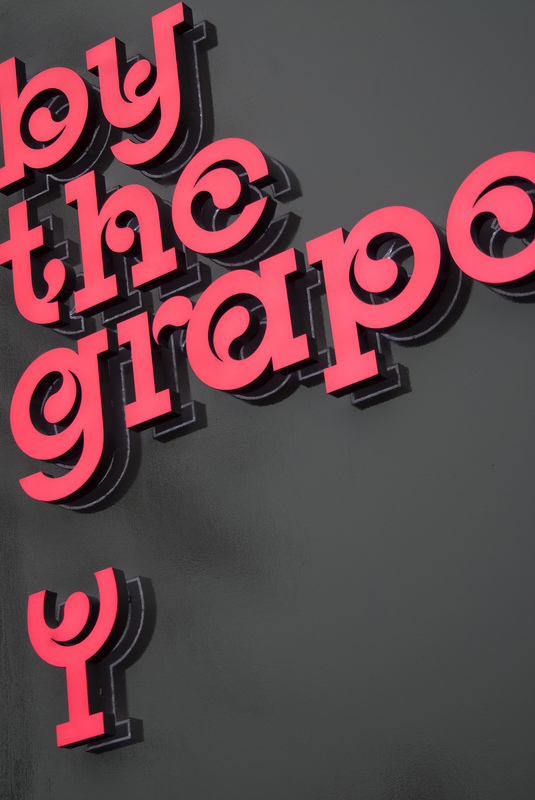 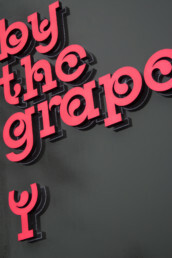 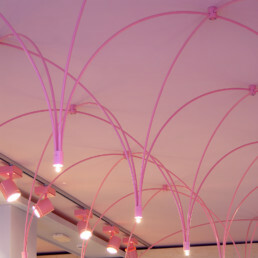 We have been given the task to create a three dimensional brand experience around By the grape. 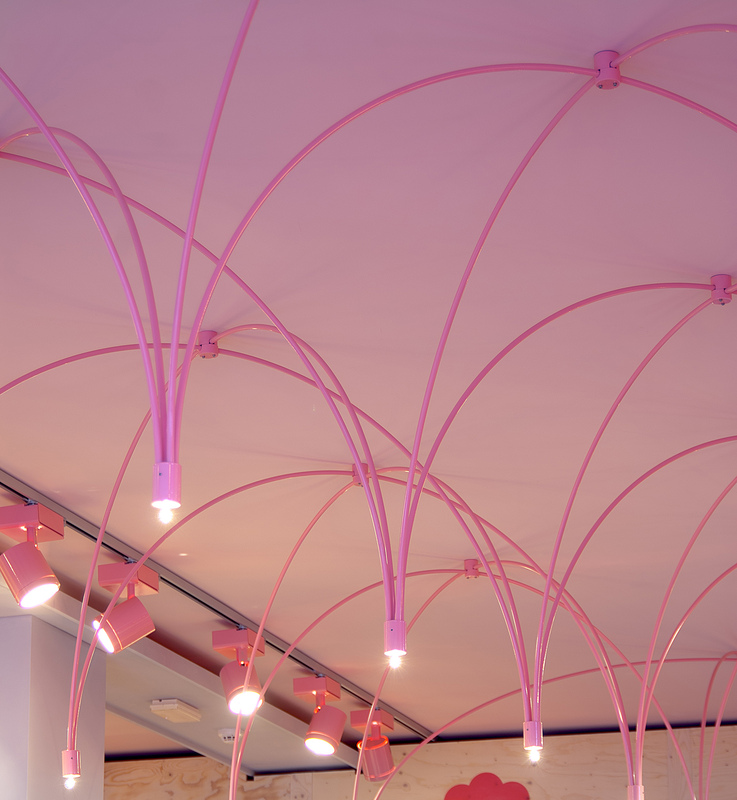 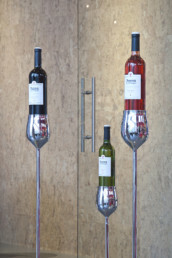 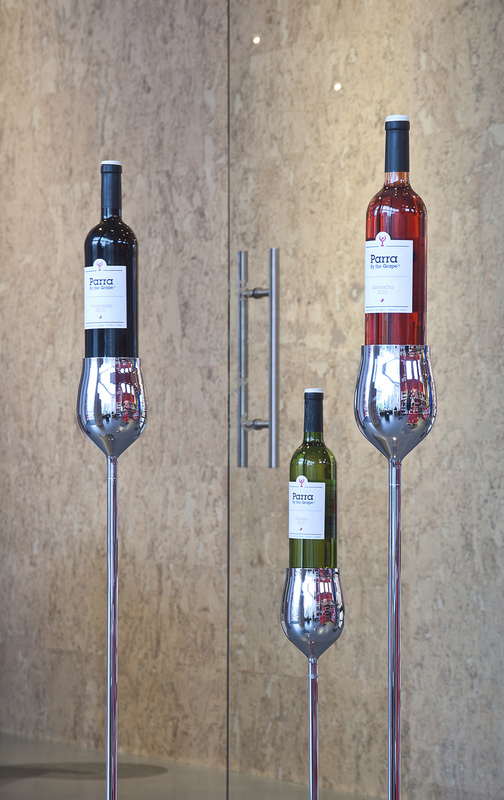 From the lights that remind you of the ceiling of an old wine cellar, the bottle displays reminiscent of stacks of pallets to transport goods and the very classy metal wine glasses to present the more precious wine bottles. By the grape is a complete city winery with everything connected to your wine experience including a space for wine tasting and cooking workshops.